Vinnitsa National Medical Universitywas established in 1921. The educational institution was named after Pirogov in 1960. 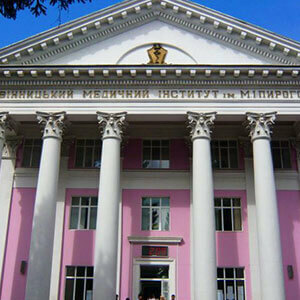 Vinnitsa National Medical University has been granted the status of a university in the year 1994. The university has a high level of experienced staff for academic curriculum. The national status of the university was awarded as “Diplomas of Cabinet of Ministers of Ukraine and Verkhovna Rada of Ukraine”. The Vinnitsa National Medical University has well-biased faculties who guide the students not only in studies also for a career. Vasil Maksimovich Moroz (M.D., Professor) is a rector of the university and a member of National Academy of Medical Science of Ukraine. 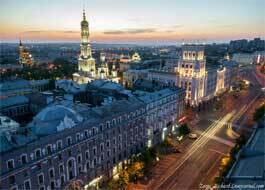 The university has got state prize of Ukraine in the field of science and technology. The Vinnitsa National Medical University has been training various countries like Asia, Africa, America, and Europe. The place of hostel and college campus is guarded by Police at the university’s expense. The faculty consists of educational and research departments of a university in which graduates, postgraduates and doctoral are trained. There are 126 doctors of sciences and 677 candidates of sciences in the medical departments. The university has honored workers of higher education in Ukraine along with 3 academicians of the Academy of Sciences of Ukraine. The university is proud to have 12 honored doctors of Ukraine, 5 winners of state prize of Ukraine. The university has 26 computer classes, 4 channels of internet network with free access for all the students. The university has 12 scientific schools collaborated with medical faculties of universities in 19 foreign countries. Faculties of departments are involved in the implementation of 62 international projects. Vinnitsa National Medical University has a high passing percentagein the MCI Screening Test. As per students review, the university provides one of the foremost education among the medical universities in the world. Classy environment and self-learning culture accompanied by quality education. 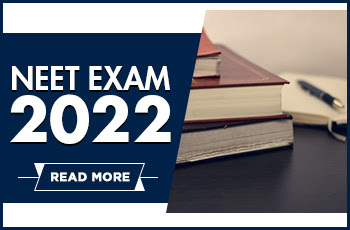 Experts are provided for the preparation of FMGE exams. The international student's facultyat Vinnitsa National Medical University was founded in 1996. The aim of the faculty is to integrate university into a worldwide education system. It endeavors to study and apply for the leading experience in the field of high medical education, to develop research projects & to promote VNMU achievements in the world. Increase in a number of foreign students results in FSF’s high professionalism. Students have an option to choose their language of instruction as per convenience. About 90% of international students are studying their medical courses in the English language. The students who want to study MBBS in Ukrainian or Russian language, they can enroll themselves for a preparatory course with aperiod of 10 months. To get admission in Vinnitsa National Medical University without undergoing preparatory department studies, the candidates should have to pass the interviews in biology, chemistry, and language of studies/instruction. The foreign students who have higher secondary school certificate from the recognized university are eligible to apply for a medical course at VNMU. If a student wants to study a medical course in the Ukrainian language, they have to undergo preparatory courses at VNMU. The tuition fee does not include the paid medical insurance and medical examination on arrival to the university. Candidates should have to submit attested copy of documents at the time of admission process. After counseling and interview process, the eligible candidate will get an offer letter from the university. The candidate must have a minimum 75% score in English subjects at class 10 and 10+2 level. The candidates should have a minimum 75% of marks in Physics, biology and Chemistry subjects. The candidate should mail the above documents to the admission department at VNMU at the time of the application process. Note: The cost of a student health examination after the commencement of each academic year evaluated either separately or with the cost of medical insurance. 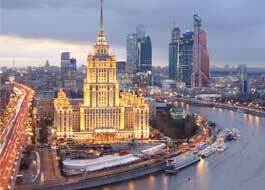 After getting an invitation letter from Vinnitsa National Medical University, the candidates should have to apply for a visa in the Ukrainian Embassy of Delhi for Indian students. The candidate can apply for a visa from 15th July to 10th October. The processing time for a visa is 60 days from the date of visa application. Translation of all documents by the Ukraine Embassy. Authorization of documents approved by the Ministry of External Affairs, New Delhi. Authorization of all documents by the Ministry of Education, Kiev, Ukraine. The faculty consists of 38 departments including 23 clinical and 15 theoretical divisions. In these departments, there are 5 fundamental profiles, 4 humanitarian and socio-economic profiles and 31 are professionally oriented. Also, there are 469 teachers in the department including 269 professors, 336 have a medical degree out of which 67 are the candidates of science, 4 honored scientist and technician of Ukraine. The faculty of Dentistry was established at VNMU in the year 1994. The Ministry of Education accredited the licensed admission to the first year with 120 number of students. During the first 4 years of Dentistry, the departments taught are therapeutic dentistry, pediatric dentistry, surgical stomatology, orthopedic stomatology. Postolovskaya T.T. was the first Dean appointed to Dentistry faculty from 1994 onwards. The Pharmaceutical faculty have 300 students in the field of clinical pharmacy from various countries abroad. International students can study either in Russian or English language. After completion of the 5-year course, graduates are awarded as “Pharmacists”. The faculty has 100 trained specialists in the pharmaceutical department with educational, scientific and methodological achievement. The preparatory faculty is one of the oldest faculty of Vinnitsa National Medical University. At the preparatory department, there are assistant professors, senior professors, Ph.D. are provided for counseling and teaching process. The faculty consists of chairs: Chair of Ukrainian language and chair of natural sciences. The academic curriculum contains subjects of Physics, Chemistry, Biology, and Geography. The duration of the course is about 2-years. During the course of study, practical aspects are taught by highly qualified teaching staff. Our university has turned more than 90 years since its foundation. On the occasion of granting the status of a national university, we celebrate an anniversary in the month of June. From the past decades, Vinnitsa National Medical University has set the educational standard among the universities in Ukraine. We are glad to have such wonderful faculties and staffs who have got a state prize of Ukraine. We have graduates from foreign citizens who are teaching the university’s students almost from 50 years. Nowadays, more than 1400 foreign citizens from 56 countries in Europe, Asia, Africa.